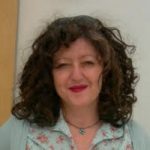 I am a person-centred therapist and work with clients of all ages using counselling, art, and play therapy; and have worked with children and young people since 2002. I am also a lecturer, trainer, supervisor, and writer. Since carrying out research in 2013, I have focused on the digital context of clients and therapy. I have developed my practice to include digital media and have developed various educational resources including BA in Counselling & Psychotherapy at Anglia Ruskin University, 'Digital Media in Therapy' module to explore the digital context of therapy, risk, online behaviour, and working with young people in a cyber era, and most recently an "Introduction to Cyberpsychology' module for NCUIL University, to examine online behaviour, disinhibition effect, digital identity, and cyberbullying. My revised chapter for the Second Edition (2018) Referrals and Indications for Therapy et al (2018) The Handbook of Counselling Children & Young People has just been published by Sage.